It Puts The Oil On Its Skin And….It’s Hair Grows Thicker?!? Mother Nature Wants You Dead! Perhaps some of you out there can relate. As a woman ages becomes wiser, Mother Nature starts to play these cruel little jokes on her just for fun. You see, after 40, you’re washed up! So sad, too bad. Once you’ve birthed them babies, you have no purpose left in the strictly biological sense. You’ve seductively flipped your long, luxurious locks for the last time, sister! One day, you look in the mirror, and you start to notice just a tiny bit less hair up front than you used to have. It’s subtle at first. You can do a comb-over and keep things in your denial box, for a while. A couple years pass, and there ain’t a comb big enough to cover up that mess! You’re…offcially…old. Well, that was happening to me at a fairly rapid pace. I would take a shower and have to hold hairs aside so they wouldn’t go down the drain and clog it when they came out. I’m not talking about a handful; just enough to be depressing. Wanna complain to the Universe about your misfortune? Whammo! It can most definitely get worse. After the top picture, I was diagnosed with breast cancer. I underwent a year of treatment including double mastectomy, chemotherapy, and radiation, followed by reconstruction. All in all, it could have been a far more devastating experience. I took care of myself with food, supplements and exercise to get through it relatively unscathed. One of the worst parts? Losing my hair. I know, I know, that sounds really shallow. But, not only is a woman’s hair one of her most powerful outward signs of femininity, it’s loss also reminds her daily that she is sick. As long as you have hair on your head, you can be undergoing the most rigourous treatments and still feel normal. When you lose it, you suddenly become a “patient”, someone to be pitied. 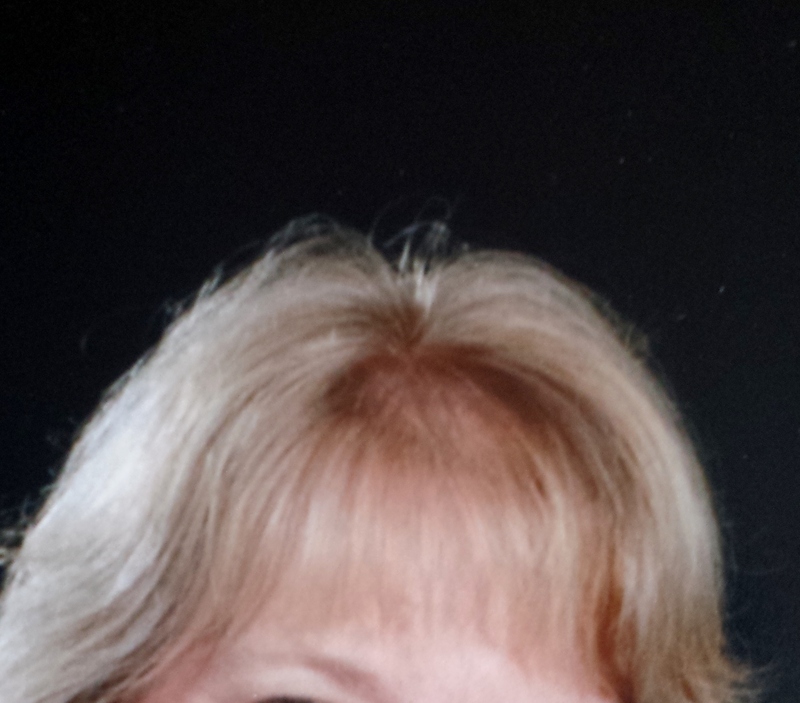 Once chemo was over, my hair started to grow back, very curly I might add. At first, it looked like I would end up with better hair than before. No loose locks in the shower, no thin spot up front. I was secretly tickled. 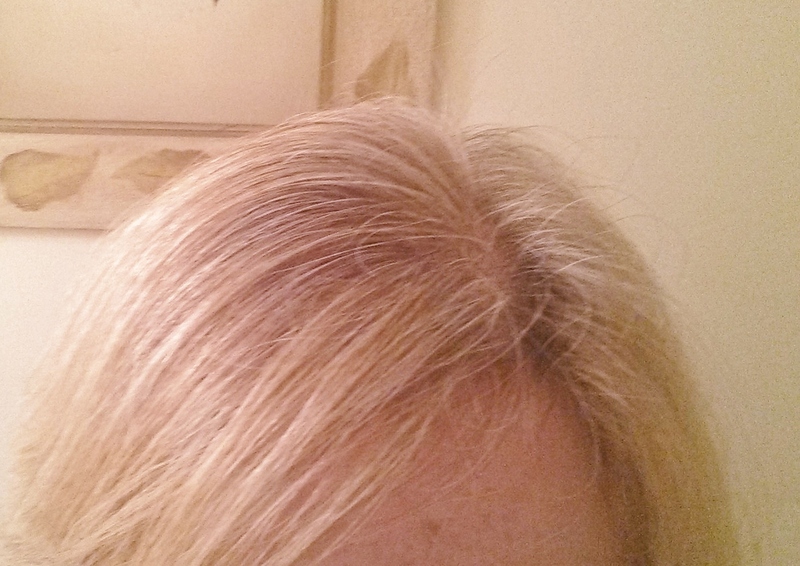 I figured it was just my destiny as a menopausal crone to be follicularly challenged. Well, over the last few weeks, I have noticed those little baby hairs coming in fast and furious at my hairline. And…my part is filling in. At first I thought it was just my imagination, but now it’s unmistakable. 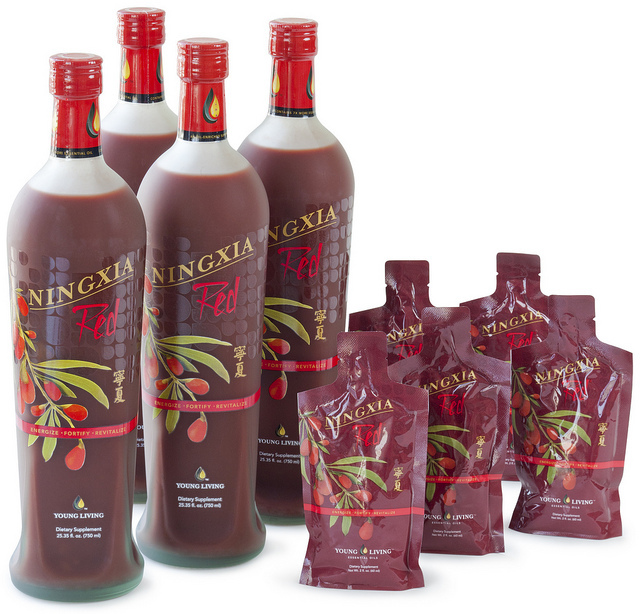 The only thing I have done differently is diffuse and apply my Young Living Oils daily and drink the super-antioxidant, essential-oil infused Ningxia Red drink by the same company. I’m putting the cart before the horse a little bit (again, I know!) with this post. We had really just begun our oily education. But I felt compelled to share this with you today. Coming up..The what, why and how of essential oils. Then we’ll move on to individual oils and their unique uses and health/beauty benefits, including cancer prevention and possibly…adjunct treatment! If at any point you feel like you’re excited and want to give these a try, e-mail me and I’ll tell you the best and most economical way get started with the company I use for my family and my patients. This entry was posted in Alternative Treatments, Breast Cancer Emotions, Hair Loss, Supplements and tagged Alternative cancer treatments, Alternative medicine, antioxidants, breast cancer, breast cancer treatment, chemotherapy, essential oils, Hair loss, menopause, radiation side effects, young living by lmarieallen. Bookmark the permalink.